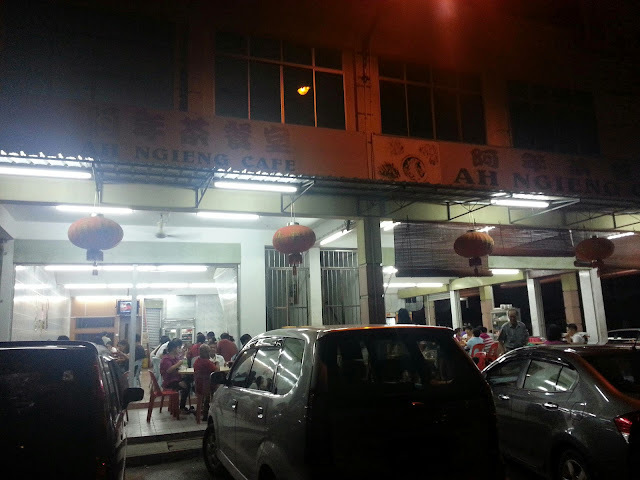 The cafe famous for its claypot fish and my mum brought me here for dinner. It was crowded and depends on the crowd, you might need to wait longer for the food. We waited almost 30mins for our food, waiting time was bad especially you smelled the food from other tables. So if you are hungry, please don't come here, you will be even more hungry. 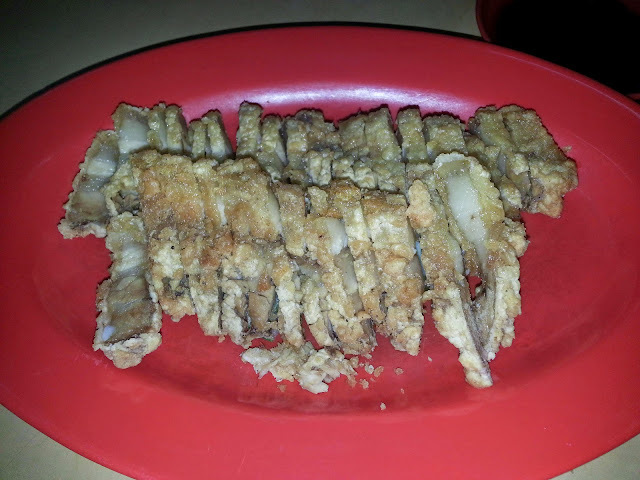 Fried Pork Belly - another famous item but I feel it was a bit too dry. 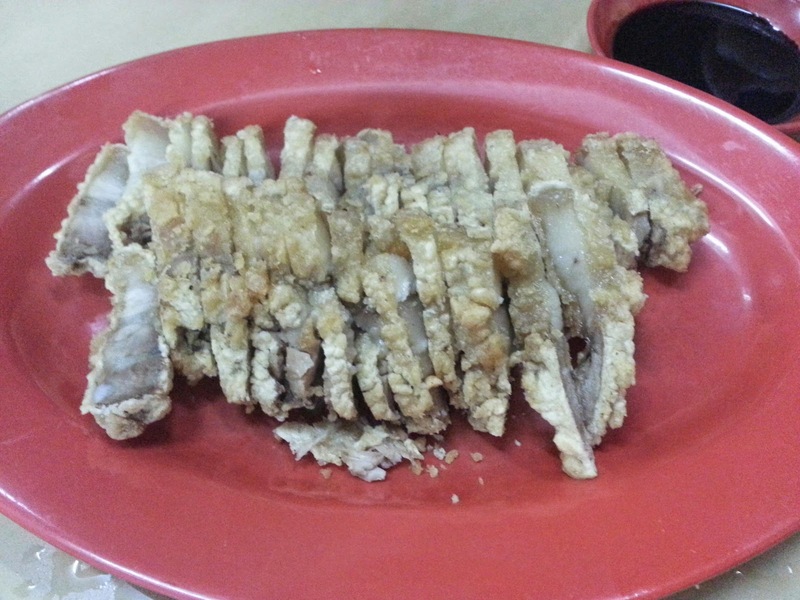 This is the must order no 2 for this tze char. 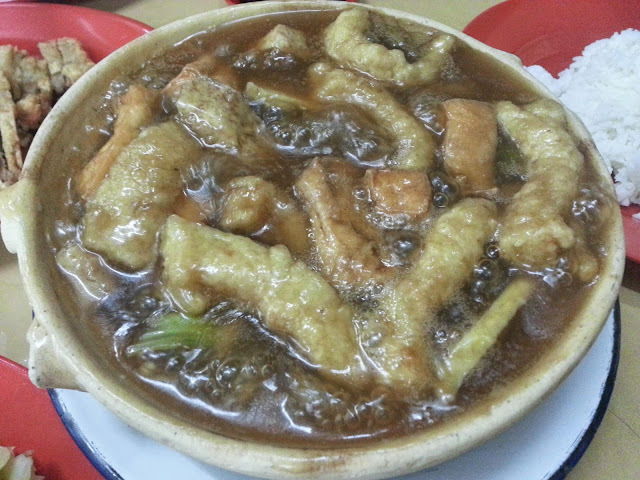 The signature Claypot Fish comes with lot of gravy, in fact it was type of soup. The ingredients included fried fish, yam and assorted vegetables. Tasted good for me, the soup was great, not too salty even without rice to go along. I like it! Almost all tables I saw had this on their tables. 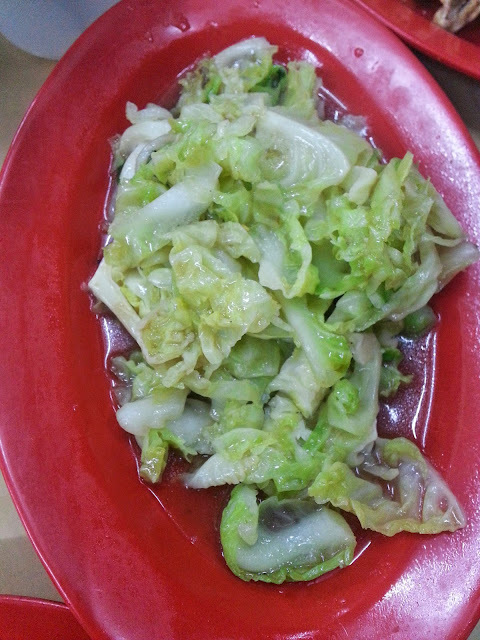 Stir Fried Vegetable - this vegetable normally is green colour more, I wasn't sure how come this batch is more towards white. Nevertheless, it tasted average. 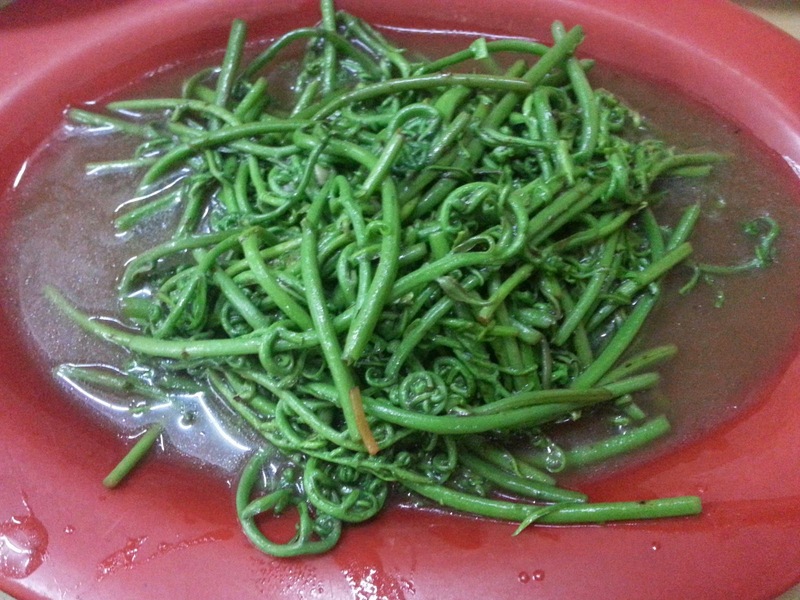 Stir Fried Millian - taste nice but slightly salty for me.